Target Market: Every OS/2 user should have this! The world's most popular OS/2 product! 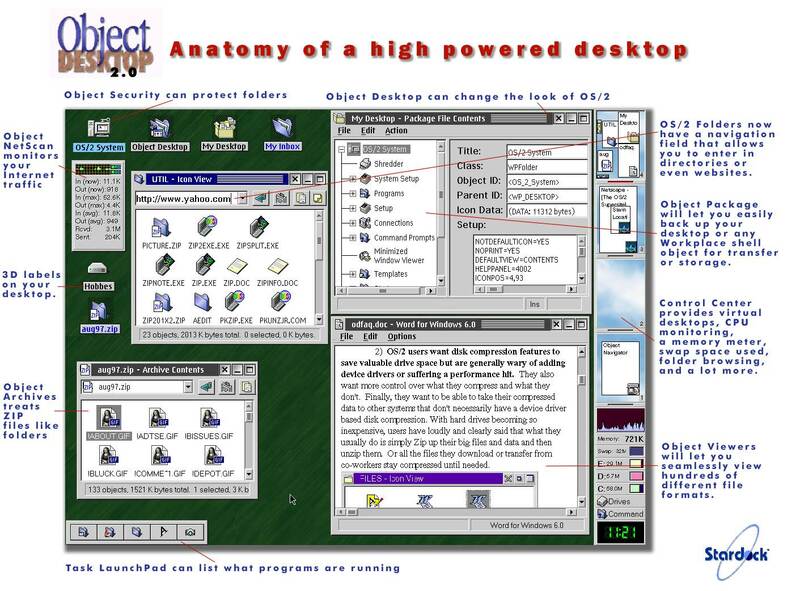 "Object Desktop brings the OS/2 desktop up to its potential and, in doing so, brings it up to date. And it does it so well, I predict it will be an instant hit and best-seller for OS/2 for a long time. No one who sees it will want to do without it. Keep your eye on this company-- Stardock knows what OS/2 should be and it looks as though it is single-handedly transforming the operating system into that ideal." -InfoWorld. © 2000 Stardock Systems, Inc. All rights reserved.